Turkey's pro-Kurdish opposition party, the HDP, roared into parliament on the back of a rainbow coalition of alienated progressives and minorities. Now, armed conflict is pulling it back into the messy tangle of Kurdish politics. Turkish president Recep Tayyip Erdoğan in 2014. Credit: From FlickrOn 3 May, a brawl broke out in Istanbul during a parliamentary commission, between politicians from the opposition Peoples’ Democratic Party (HDP) and the ruling Justice and Development Party (AKP). “It started like a forest fire,” said HDP deputy and honorary president Ertuğrul Kürkçü, who was present at the time. What's the future for Turkey's opposition? Share your thoughts in the comments below. The esteemed members of parliament threw punches and water bottles, and some even leapt onto a table, Batman-like, before diving fist-first into a throng of combatants, some of whom ended up in hospital. Justice and Development Party MP Ali Aydınlıoğlu threatened to shoot or kill (the Turkish verb vurmak can mean either) opposition MP Ayşe Acar Başaran. They were referring to Abdullah Öcalan, imprisoned leader of the militant Kurdistan Workers’ Party (PKK), which has waged a devastating war with the Turkish state since 1984. The incident was emblematic of what some see as the HDP slipping away, or perhaps being dragged away, from the political process. The incident was emblematic of what some see as the opposition HDP— slipping away, or perhaps being dragged away — from the political process. The commission had been discussing a constitutional change proposed by the AKP, and later passed, to strip 138 parliamentarians of legal immunity. This has widely been understood as targeting the HDP, since almost all HDP MPs have criminal cases against them, on charges such as "openly instigating people to hatred and hostility" and "being a member of an armed terrorist organization." "They will have to arrest us, take us by force,” HDP co-leader Selahattin Demirtaş said to reporters outside Parliament following the decision to lift immunities. The HDP emerged in 2012 with roots in the Kurdish movement but ran as a leftist, pro-minorities, national party. It astonished Turkish politics last year by smashing through the 10% threshold required to enter Parliament. It was Turkey’s first ‘Kurdish’ party to ever do so. The HDP, distancing itself from the PKK and creating a rainbow coalition of alienated progressives and ethnic and religious minorities across Turkey, became a massive success story and darling of the Western press. Its colourful campaigning focused on rights for ethnic, religious and sexual minorities, as well as women, the environment and workers. They even have a gender quota system whereby all positions, such as mayors and party leaders, are held by one woman and one man. Many activists still wistfully comment on how the HDP was the only party to really understand and learn from the demonstrators at the massive Gezi protests in 2013, during which HDP deputy Sırrı Süreyya Önder famously stood between the protestors and police. “HDP was from the start designed and built as a coalition of various opposition [groups], particularly the Kurds, Alevis, women, laborers [and] the poor,” HDP deputy Kürkçü said. But it was Selahattin Demirtaş, the saz-playing, former human rights lawyer and HDP’s co-chair who charmed the Turkish political scene like no Kurdish politician had ever done before. But the return to armed conflict between the state and the PKK, which began last July after a two-year ceasefire, has devastated the mostly Kurdish southeast and has had a profound impact on the party. The HDP and its supporters have been targeted with violence on many occasions. This includes three devastating suicide bombings by ISIS-linked individuals; the attacking of 200 HDP offices by ultranationalists; and state security forces clashing with HDP politicians. “They ran as a national party yet conflict forced them to again become a Kurdish party,” says Howard Eissenstat. “They ran as a national party, yet conflict forced them to again become a Kurdish party,” says Howard Eissenstat, a history professor and Turkey specialist at St. Lawrence University in New York. “I think they were forced into that, in part by other actors,” namely the AKP and PKK, Eissenstat says. The HDP has been a thorn in the side of President Recep Tayyip Erdoğan ever since Demirtaş used “We will not make you president,” as one of his campaign slogans. Demirtaş was referring to Erdoğan’s plan to write a new constitution that would transform Turkey into an ‘executive presidential system’ with himself at the top, which would be much easier without the HDP in Parliament. The HDP’s platform of progressive social policies and the decentralisation of administrative power came into direct confrontation with the AKP’s platform of conservative social policies and Erdoğan’s continuing centralisation of his own power. The HDP denied the AKP-- Erdoğan’s former party of which he still supports-- from gaining a majority in last June’s general election, stealing many Kurdish votes from them. A study from the research agency KONDA found that 53% of the HDP’s voter increase between 2011 and 2015 came from former AKP voters. After the PKK ended the ceasefire by killing two police officers last July, Erdoğan accused the HDP of being terrorists and launched a massive military campaign against the PKK. 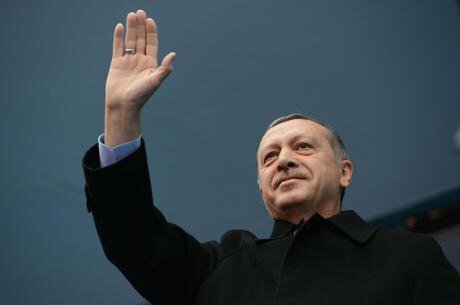 His opponents accused him of trying to win back nationalist votes which the AKP had lost in the June election, which he did, thus winning a majority in the following November election (political parties failed to form a coalition after the June election). The HDP also stole a lot of thunder from the PKK. “The PKK took Erdoğan's war as an opportune moment to consolidate its monopoly over Kurdish politics, which was unprecedentedly challenged by Selahattin Demirtas's election campaign,” Mustafa Gürbüz, an expert on the Kurds at George Mason University, said via email. Jenkins says there’s a strong feeling of detachment in the southeast, where many cities, full of tanks and helicopter gunships, have been virtually destroyed by fighting between state forces and the PKK. “I think that made the HDP more Kurdish,” Jenkins says, because the party is responding to their core group of supporters in the southeast. “If the HDP leaders start to say, ‘We’re doing this for all of Turkey,’ [constituents in the southeast] are going to say, ‘Screw Turkey. Where were they when our houses were being bombed by the Turkish military?'" Kürkçü insists the party is still a national party, though he admits that the Kurds “are playing a leading role in the popular struggle at a grassroots level.” He says the HDP’s primary focus is on the southeast because the conflict is currently Turkey’s most pressing issue. A large chasm has been torn open between the HDP’s Kurdish supporters in the southeast and their left-leaning Turkish supporters in the west. Jenkins says a large chasm has been torn open between the HDP’s Kurdish supporters in the southeast and their left-leaning Turkish supporters in the west, with the former feeling abandoned by the latter. The violence has further radicalised young people in the southeast. At least 267 civilians and 567 security forces have been killed since last summer, according to Crisis Group. Professor Ödül Celep at Işık University in Istanbul says the HDP will always focus on its core voter base, no matter how radicalised it becomes. “If HDP has to make a choice between its Kurdish voters and new urban Turkish voters, it has to stick to the former,” Ödül said in a written statement to openDemocracy. Jenkins says throwing HDP politicians into jail could further marginalise the Kurdish youth and push even more of them towards violence. On 22 December last year, Demirtaş appeared at a meeting of the Democratic Society Congress, an umbrella organisation for Kurdish groups, and made statements in support of regional self-governance, which the HDP stresses is different from independence and has always been one of their key demands. “Kurds will, from now on, be the political will in their own region,” he said. The “one man” he’s referring to is President Erdoğan, Turkey’s most powerful politician for generations. Professor Celep says these tactics work well in Turkey, and that the HDP doesn’t have complete independence from the PKK. However it’s not fair to equate the HDP with the PKK. The easiest labels for the HDP include ‘terrorist’ and ‘separatist,’ and unfortunately these labels sell in politics. “The easiest labels for the HDP include ‘terrorist’ and ‘separatist,’ and unfortunately these labels sell in politics,” he says. Many experts say the HDP has little influence over the PKK, but that the militant group does exert a certain amount of control over the HDP. “I think that regarding major critical decisions, no major section that can resist the PKK,” says Talha Köse, a political science and international relations professor at Istanbul Şehir University and researcher at the Foundation for Political, Economic and Social Research (SETA). Demirtaş and other leading HDP politicians regularly criticise the PKK’s use of violence, but they also call it a “national liberation movement” and refuse to label it the terrorist group, which Turkey, the United States and NATO consider it to be. Following Demirtaş’s remarks in December, a probe was launched into him for “terrorism propaganda," "encouraging sedition" and "disrupting the unity and territorial integrity of the state." On 3 March, Demirtaş made comments which seemed to reflect a profound loss of faith in the political system, saying that if the HDP’s lawmakers are stripped of their immunity, they’ll refuse to appear in court, and could form their own parliament. Recently, in tandem with rising violence and state authoritarianism, the HDP’s rhetoric has become increasingly radicalised. Their members refer to the AKP as “fascists” with “an organic relationship with ISIS” who are committing war crimes in the southeast and describe Erdoğan’s growing power as a “palace junta”. Last summer, several mayors in the southeast from the HDP’s former fraternal Peace and Democracy Party (BDP) were suspended with charges relating to autonomy,in response to military operations, with the HDP’s support. According to a poll in April by the Gezici Research Company, the HDP has just 7.3% of support left. The party has not only lost support from Turkish progressives, but also in its heartland: the southeast. “[The HDP’s] standing and prestige have been really negatively affected by the events of the past few months, because they’re not able to do anything,” Jenkins says.